Looking for a summer vacation spot? 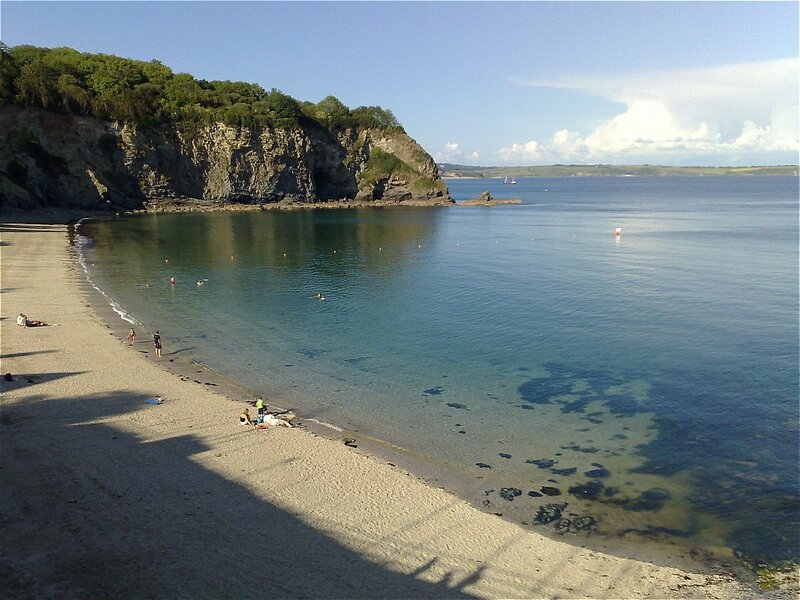 You should definitely be considering the South Cornwall Coast! This area in the far southwest of England has a long history that includes both a Celtic heritage (it's the mythical birthplace of King Arthur), as well as a smugglers' history. It's easy to access by trains, buses, or cars from other parts of England, and it's easy to get around the county as well—and although you might hear some Cornish speech or see some bilingual road signs, don't worry: everyone speaks English as well. That said, Cornwall has a unique flavor of life not found elsewhere in England. So what should you do while you're there? This one is pretty obvious. Although many counties in Britain border on the ocean, South Cornwall has coastline down to perfection. You'll find plenty of beautiful beaches, as well as sweeping coastal vistas that will delight the photographer or naturalist. You've got plenty of options for beaches, which is part of what makes this such a perfect summer retreat. If you're looking for a pebble beach, a sand beach, a beach where you can take your dog, a beach where you can take your kids, or something else, you're guaranteed to find a place that feels like paradise. Don't forget the sunblock! But Cornwall isn't only home to beaches; instead, a lot of the land offers spectacular and rugged hiking spots which range from beginner trails to expert ones. Head to Dartmoor National Park for some lovely hiking in the interior of the county. Or hike all or part of the Southwest Coast Path, one of the most beautiful and well-marked long-distance trails in England, where you'll pass by quaint little towns and sweeping coastal vistas that will have you fumbling for your camera every few steps. If enjoy photography or you're really into walking, you should head to Land's End, the place farthest in the southwest in all of Britain. This is the starting point of the trail to John O'Groat's—the longest thru-hiking trail in Britain—but you can also just head to Land's End to enjoy the scenery, snap some pictures, maybe take a day-hike, and drive off to wherever's next! And hey, when your friends ask you where you went on your trip, it's easy to point it out on a map. Need to brush up on your King Arthur myths? Watch Merlin, which is available for free streaming on Netflix. You'll need to use a VPN to hide your true location if you want to stream Netflix from outside the US, but it's easy to set one up and you'll have all the magic with you on your vacation. Okay, so maybe you won't become a pirate in modern-day Penzance, but you can check out its plethora of interesting buildings, including its Town Hall and the Egyptian House—and the fish and chips are to die for. The town can also make a good base for exploring places like the Isles of Scilly, which you can easily reach by ferry. These islands are home to some beautiful beaches, and there tend to be fewer tourists here than there are elsewhere. Bonus: from Penzance, you can also view St. Michael's Mount out at sea! When you go to Cornwall, you're definitely going to want to try all the local dishes. Of course, you're going to encounter a lot of seafood, from fish cakes to creamy fish stew. But there's more to the cuisine than just that! Grab some Cornish pasties, small pies full of meat, potatoes, and vegetables and in the words of the Pasty Muncher . . . munch on! Or get the squab pie, which is made of mutton, onions, and apples. Or try the Hog's puddin', a kind of thick, white, and spicy sausage. Finish off your meal with some saffron cake or a heavy fruitcake called hevva cake. Whatever you choose, you're in for a real treat. Whatever you're looking for in a vacation, whether it's relaxation or historical exploration, South Cornwall is sure to have something for you. From the friendly locals to the delicious seafood to the beautiful coastline to the… Well, there's a lot that's going to make this vacation truly, shall we say, magical—even if you don't happen to meet Merlin.